Hilton Lake Las Vegas Resort is one of my favorite locations for weddings. Just 20 miles away from the Las Vegas Strip, but worlds away from the bright lights of the city. 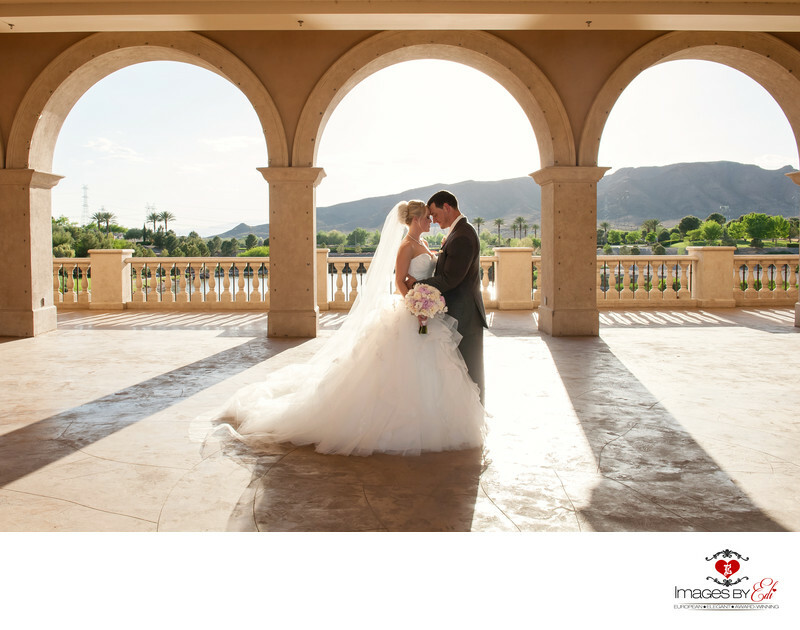 For those who always dreamed of a fairy tale wedding, Hilton Lake Las Vegas offers exactly that. The lake, beautiful landscaped European style Florentine Gardens with their tall Cypress trees, picturesque Mediterranean styled architecture, the Italian inspired Pontevecchio bridge with beautiful views of Lake Las Vegas and the Mountains, lake side greenery with Jasmine and rose bushes, waterfall, the Montelago Village. This romantic, traditional Lake Las Vegas fairytale wedding was perfect for the couple’s vision. When the bride was just a little girl, she dreamt of a fairytale wedding, she wanted to feel like a princess on her big day. So when her Prince charming asked her to marry him she couldn't have been more thrilled to start planning their big day. Their ceremony was held at the Mediterranean-inspired The Capella Di Amore wedding chapel on the Pontevecchio bridge. That was exactly the vision what the bride was looking for their fairytale wedding. After the romantic ceremony and the portrait session with the couple around the property, the wedding reception continued in one of the ballrooms under crystal chandeliers. The bridesmaids soft pink color wedding dress mixed with Tiffany blue accessories and the brides princess wedding dress perfected this classic Las Vegas wedding and made this couple’s dream day come true. There were a lot of DIY on the wedding. The bride and her sister made the flower girl dresses, wands, the table numbers, menus, seating name cards, bouquet for the toss, favors, garters and much more. They saved a lot of money making these themselves and they gave the venue a unique feel. and also at the Beauty & Lifestyle Bride.